A restaurant business like any other business can have its own difficulties. There may be busy days, as well as, days where you hardly see someone walking in. 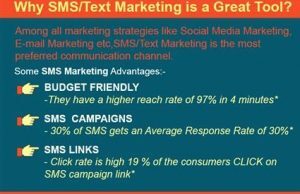 SMS/Text marketing works wonders attracting customers. Why is SMS/Text Marketing a great marketing tool? 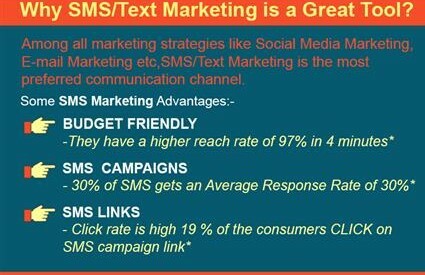 Among all marketing strategies, SMS/Text marketing is the most preferred communication channel. Marketing messages can be sent in bulk via a shared short code and by associating a unique keyword with the campaign. 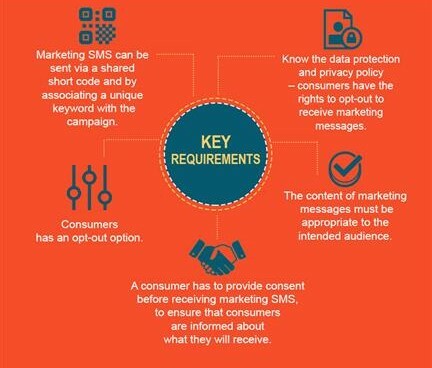 A consumer should have provided consent to receive a marketing message via SMS. This consent has to be in writing (for example, an email) or other formal methods; which means before sending marketing messages you need to ensure that consumers are informed about what they will receive through an opt-in program. The opt-in program must disclose the frequency with which you will be sending text messages. It is mandatory for businesses to maintain a record of the consent of consumers. These records should include the time, date, and location of agreement and the method by which a consumer agreed to receive your marketing messages. The CAN-SPAM act requires businesses to provide the consumer with a clear and easily accessible option to opt-out or to stop receiving messages. It is best to provide your costumers with a simple a way of opting out from receiving marketing messages via Most businesses provide a simple STOP message to opt-out of the SMS marketing program. You also need to honor an opt-out request received via any other channel that you can be contacted on, for example, via email or by a phone call. A STOP confirmation message must be sent to the consumer to confirm the opt-out along with the name of the company. You should maintain records of opt-out communications. The content of marketing messages must be appropriate to the intended audience. You can get better results if you tailor the message to the individual as much as possible. Make it easy for subscribers to reach customer support with a short code like “HELP”. Let your customers know that they can reply with this code to be directed to customer support. Before jumping into building a database, it is very important to have knowledge of SMS regulations and The Telephone Consumer Protection Act (TCPA) and CAN-SPAM Act. Invest in building your own customer base through genuine opt-in Do not be lured into buying third-party lists. Use attractive keywords like a foodie, VIP, offers, deals etc; make flyers and social media posts/banners. Add a subscribe form on your website and social media accounts and encourage customers to subscribe by giving them freebies. Make in-store promotional posters “Sign-up for more exclusive offers” to attract customers to sign up for your SMS program. Print the SMS opt-in shortcodes in the bill saying “Sign-Up for more exclusive deals and offers”. Once you have a considerable number of customers in your database, it is time to leverage the same. Create a BUZZ during your restaurant opening by sending SMS invitation with an offer code for lunch/dinner. Promote special menus of your restaurant regularly. Make attractive special event reminders and promote them frequently. Use emoji’s in your text message, as people relate more to your business when it touches their emotions. Use MMS for promoting attractive deals or offers, and to create a visual experience. Nurture the existing customers with special offers, mobile coupons and promotions. Always make sure you target the customers based on the zip code to boost the response rate. Take care of updating and maintaining your SMS database according to the customer’s opt-in and opt-out preferences. Include call-to-action in your message like follow us on Twitter, use this coupon code, order online now etc. The frequency of your message shouldn’t disturb your customers. Restrict to 2-3 messages in a week and make sure the customers receive them during the day.